There are many ways our various privileges (e.g., race, gender, sexual preference, language, class, etc.) inform our identity and power dynamic in the nonprofit workplace. It is important for everyone to understand how the status quo affects us individually, institutionally and culturally, because only this common understanding will help us work together towards equitable change. Join Connext for a workshop on race, power and identity development with PaKou Her, an expert in building racial equity and creating system-wide change. We will explore how our own behaviors can be connected to workplace inequity, and identify ways to intentionally build power for everyone that we work with. And learn best practices that lead to racially equitable outcomes. You’ll leave this workshop with the skills, strategies and best practices for to approach your workplace relationships with racial equity and social justice lenses that invite individual and collective growth. 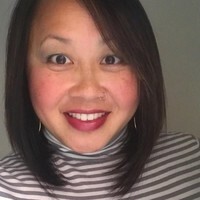 PaKou Her is the Principal of Tseng Development Group, a consulting firm that provides the skills and education necessary to build racial equity and create systems change. She has twenty years of anti-racism organizing experience, a decade of which was as the director of a national racial justice training program. Connext (formerly YNPNkc) provides learning and networking opportunities for the next generation of nonprofit leaders. We welcome people of all ages and professions, although most of our members are in their 20s and 30s and working in the nonprofit sector. There is ample free parking in the lots surrounding the center. Not yet a member? Click here to learn more.